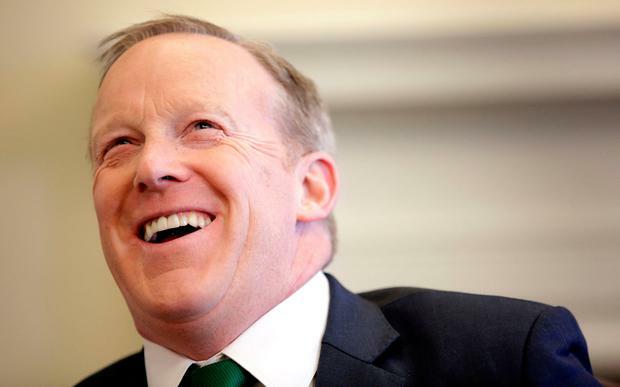 White House press secretary and communications director Sean Spicer stokes the embers of a fire into a steady flame then settles into the leather chair. From his office window, there is a startlingly pretty view of the snow-covered lawn. 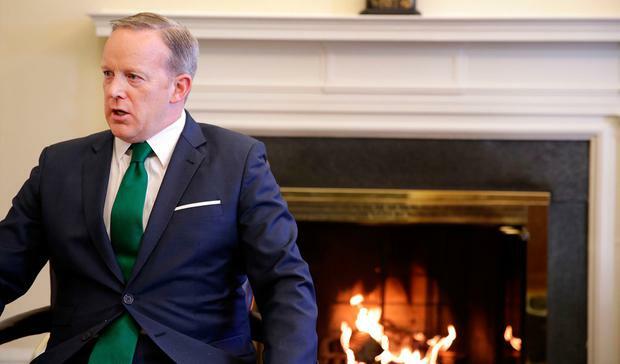 The White House St Patrick’s Day festivities are wrapping up and Taoiseach Enda Kenny is determined that his final trip to DC is seen as a complete diplomatic triumph. The spin is that this was the visit where he became friends with President Trump, secured the future of the undocumented Irish and eased fears over American jobs in Ireland. But friendship is one thing and business is another. President Trump knows the difference. Perhaps Taoiseach Kenny does not. Now the party is over, and President Trump’s press secretary is speaking with the Sunday Independent. The encounter is deeply sobering and lays bare the challenges that the Trump presidency poses for Ireland. The one sentence you do not want to hear when you ask about the future of jobs supplied by US firms in Ireland begins: “As much as we love Ireland…” but that is exactly how our conversation about American taxation reform opens. 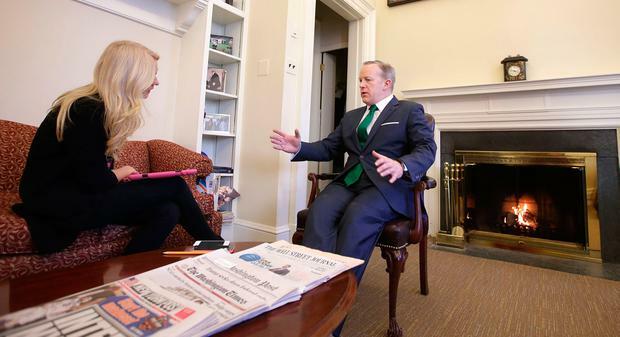 I had pointed out to Mr Spicer that while Enda Kenny was doing laps of Washington, President Trump had tweeted about his upcoming “big tax cuts” for American businesses. I say the ‘America First’ model, placing its own economy front and centre, does not tally with allowing a vast number of US companies in Ireland to save billions in tax. Mr Spicer tells it straight. Ireland has 140,000 US jobs in Ireland. Does the United States want those jobs back in the US? How does the US plan to make this happen? “Well the president has already talked about it. "He has talked about creating a more favourable tax climate. Creating more favourable business regulation. We have got too many American companies who tell us they can’t hire people or they can’t hire more people because they are paying too much or our regulations are driving out business. Can America match our [corporate] tax rate? Or get it even lower? When does he see this starting? So [Ireland] is going to feel some hurt? As a positive, I ask how Ireland can capitalise on President Trump’s new US administration. Would he see Ireland as the gateway for people who want to do business in Europe going forward? Can he give an example of business opportunities for Ireland? You know President Trump better than most people. What advice would you give our next incoming leader on how to deal with the US president and build a relationship? Should Enda Kenny apologise for the comments? On the subject of the undocumented Irish in America, do they have anything to fear going forward? Is it naive to think that we will get a special deal? I point out when we talk about Irish people living in America we use the word ‘undocumented’ but that does not negate the fact that they are still ‘illegal’. How are they any different to any other nation? We are called ‘undocumented’ but really they are illegal, I say. Before our interview, I stood in on the back of one of his daily press briefings. The packed, airless room with no clocks and the glare of the world’s media trained on the podium is the pit Mr Spicer must venture into each day in defence of Mr Trump. 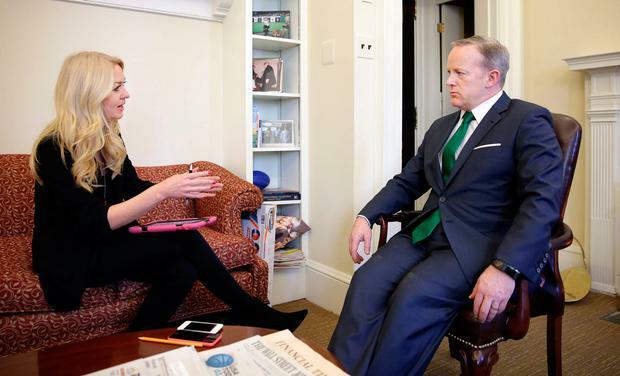 But rather than the loud-mouthed, gum-chewing aggressor we have become used to seeing in edited clips on social media and lampooned on Saturday Night Live, it seems the press secretary has a double-edged relationship with the American press. Jokes and friendly teasing and banter fly back and forth between more tense interactions with journalists. Some attendees seem to treat the daily catch-up as more of an entertainment reality show than a serious political briefing. When he gives one particularly colourful answer, a cameraman beside me roars with laughter: “We get to live this. This will go down in history,” he chuckles. 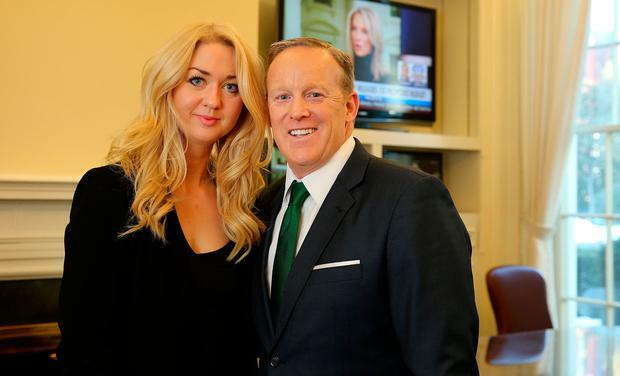 But at times, as an article in Vanity Fair once described, Mr Spicer is the subject of “a rare and cruel, and occasionally darkly funny, form of public torture”. 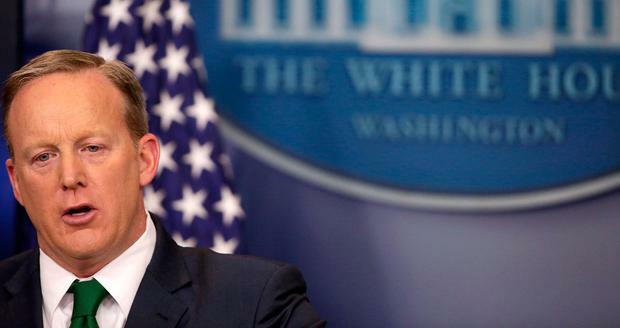 After the press conference I say to Mr Spicer: Can I ask you a very human question? “Sure, I love human questions.” Does it ever mentally exhaust you? “No I think it’s exhilarating,” he laughs. But you go to bed at night knowing you could wake up to anything your boss tweets that you then have to go out and defend? So how does he deal with the stress? Do you do mindfulness to help with the stress? Behind him on the wall are eight clocks — seven from time zones around the world. The eighth, simply marked ‘POTUS’, is always set to his boss’s wristwatch. He works 18-hour days, getting up at 5am and home each night around 11pm. Does he worry about burn-out? What’s the one thing you have learned about this job that you didn’t know before? Do you ever let it get to you? “I try not to. But there are certain things that you see or read. So of course. The goal is to take it in my stride. I understand that this comes with the role. But no one likes anything negative. I mean there is not a person with a heart that doesn’t want to be,” he trails off. Do you go to a therapist or what do you do to handle it? Do you read what people say about you? “Of course you look here and there.” I tell him he is torturing himself. Do you ever fear for your own personal safety? Do you read the Irish press? “I will now,” he smiles.